Hello friends and Happy Easter! Quick post today. I created this tag for the Hip Hop Challenge on the Simon Says Stamp Monday Challenge Blog. Before I go I wanted to give a shout-out to the talented Richele Christensen for her Easter egg idea on this Instagram post. Thanks for stopping by! 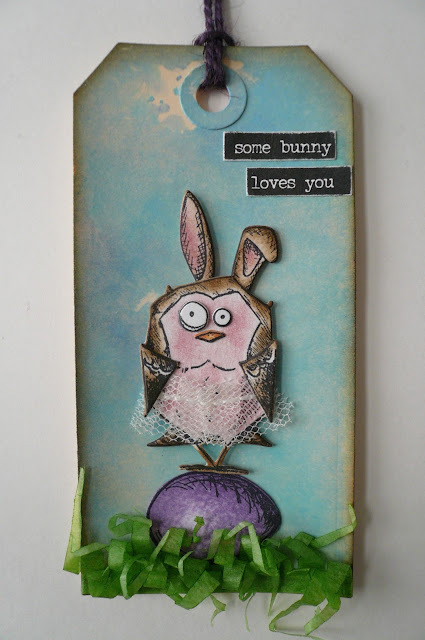 Love this bunny bird and the soft background. Thank you for hip-hopping with us at Simon SayS Stamp Monday Challenge.